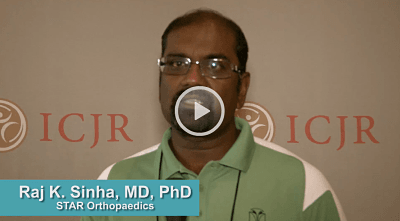 Raj K. Sinha, MD, and Michael D. Ries, MD, have a difference of opinion when it comes to the initial incision in total knee arthroplasty (TKA). Dr. Sinha, from STAR Orthopaedics in LaQuinta, California, prefers a medial or midline skin incision because it is familiar and extensile, providing excellent medial and lateral compartment exposure. 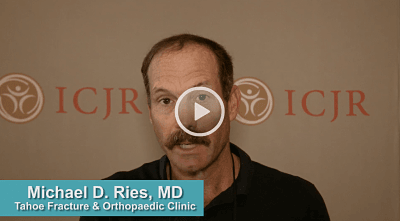 Dr. Ries, from Tahoe Fracture and Orthopedic Medical Clinic in Carson City, Nevada, prefers an incision that’s lateral from the midline because it allows for more normal sensation over the tibial tubercle and patella following surgery. Click the images below to hear their comments on the initial incision.